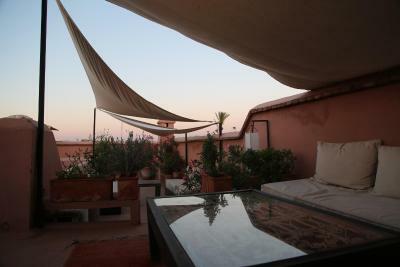 Lock in a great price for Riad Djebel – rated 9.3 by recent guests! 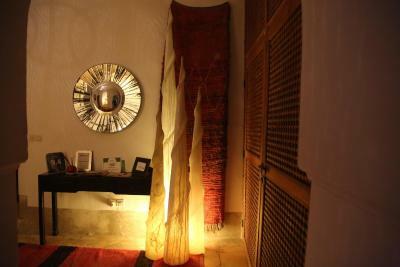 The Riad was superb and beautifully presented with a real Marocain feel. The bed was very comfortable and the bedding generous. All the staff were friendly and helpful and informative and nothing was too much trouble for them. The airport transfer was well-organised and efficient. The breakfast was excellent and the evening meal we had on our first night was just right after a long journey. This was a great place to stay. Great location, friendly and helpful staff. Peaceful and comfortable rooms. Great breakfast. We had a wonderful three night stay. 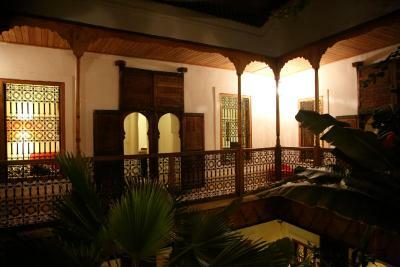 A driver picked us up at the airport and as we were tired we had a nice dinner in the Riad the first night. Our room was big and clean. Abdul was very helpful as were all the staff. 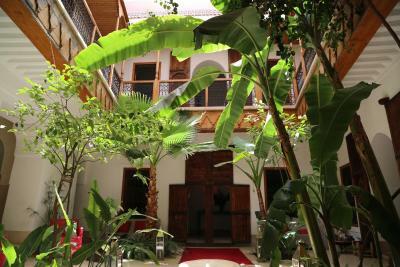 The Riad is a 15 minute walk to the main square and in a nice quiet street. Breakfast was served on the rooftop every morning and we enjoyed cold beers in the evening. 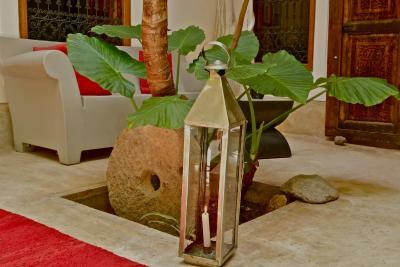 The Riad is like an oasi, a peaceful place where you can relax at the end of the day! The host and all the staff was very kind and really makes you feel at home. Absolutely recommend! 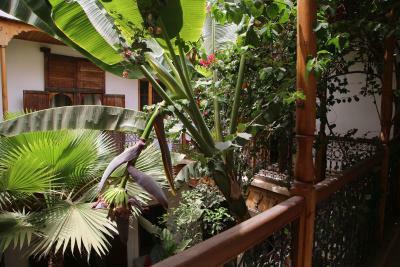 The owners, Miguel and Silvain, are the real stars of this beautiful Riad. Along with the exceptional staff everything is perfect. I'll definitely be staying again. We loved staying there. 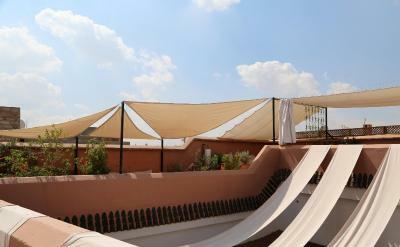 Staff is super helpful, friendly and gives you a lot of tips on your stay and visit of Marrakech. 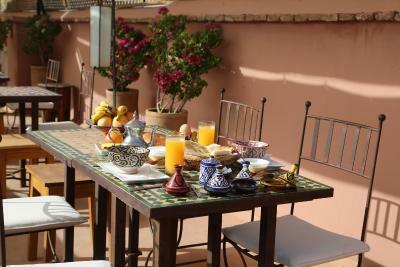 Rooms are large and nicely decorated (modern-maroccan style) and Breakfast on the rooftop is a must. As a side note, I recommend strongly to take the shuttle from the airport since the Riad is truly in the heart of small streets from the Medina. Friendly people with a fancy and elegant environment, perfect breakfast and a really good dinner! One of our best sellers in Marrakesh! 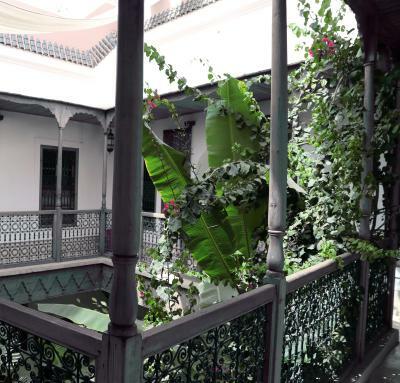 Located right in the heart of the Marrakesh Medina, the guest house is 3,100 feet from Djemaa El Fna Square and the main tourist sites : the souks, the Ben Youssef Medersa and the Bahia Palace. 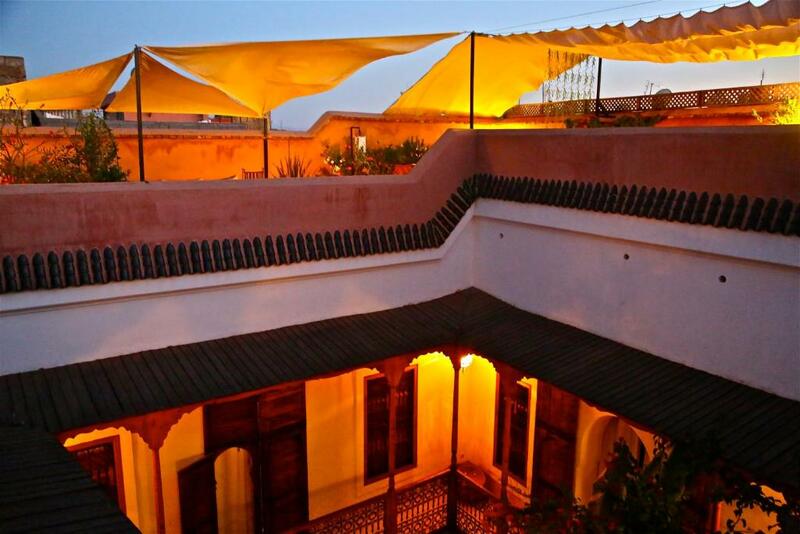 Structured around the central patio, the bed and breakfast has 5 rooms, an outdoor lounge and an indoor lounge with fireplace, a patio planted with trees, a massage parlor, a hammam and a large terrace with view on the Medina and the Atlas Mountains. 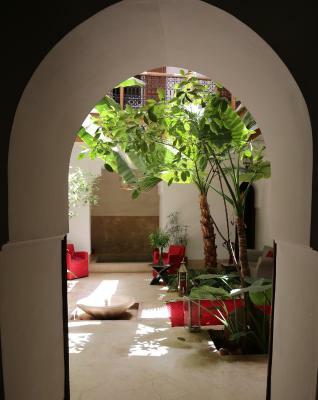 After experiencing the buzz of the Medina, you can enjoy a peaceful rest in one of the lounges with view on the patio, soak up the sun on the terrace then cool off in the basin pool, or simply relax in the hammam. 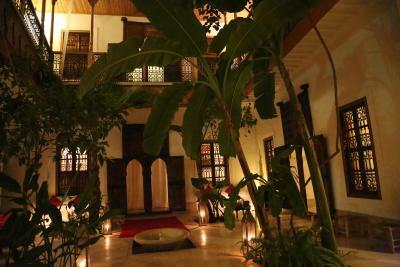 Riad Djebel is at your disposal to give advice on your visits and purchases and organize your stay here to offer you a unique and unforgettable experience. 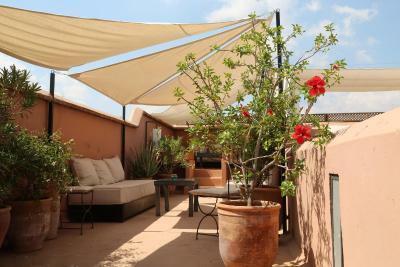 뀐 Located in the real heart of Marrakesh, this property has an excellent location score of 8.8! 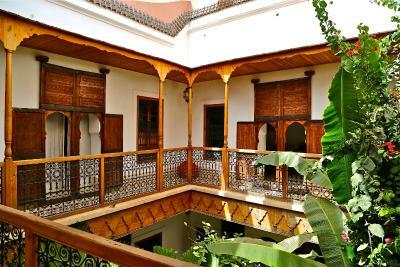 When would you like to stay at Riad Djebel? 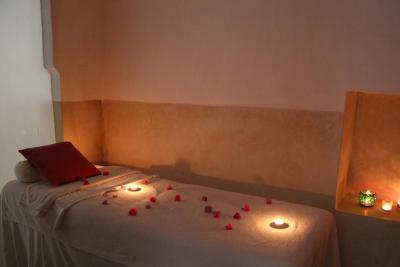 This air-conditioned room offers a seating area and an private bathroom with a shower. 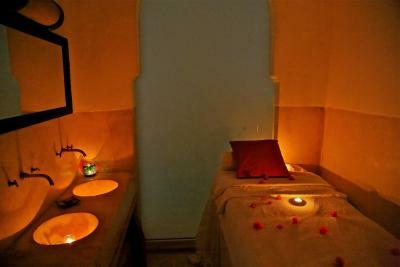 This air-conditioned room offers a seating area and an private bathroom with traditional Tadelakt walls. 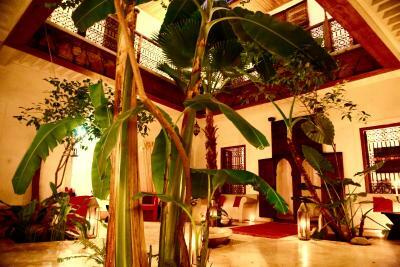 House Rules Riad Djebel takes special requests – add in the next step! All children under 14 years are charged EUR 15 per night for extra beds. Riad Djebel accepts these cards and reserves the right to temporarily hold an amount prior to arrival. Breakfast is included in the room price and it can be served in one of the lounges or on the terrace. 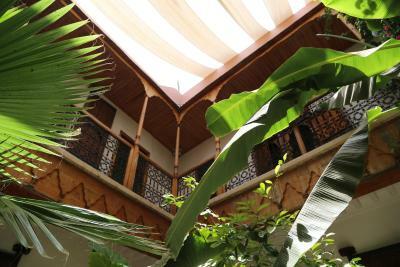 Guests also have free access to the Riad’s public areas (lounges, patio, basin pool, terrace), to the Internet, library and board games. Discover all the flavors and varieties of Moroccan cuisine with our Berber cook (lunch or dinner upon request). Please inform Riad Djebel of your expected arrival time in advance. You can use the Special Requests box when booking, or contact the property directly using the contact details in your confirmation. Terrace, breakfast, rooms, soo pretty and cozzy. As we anticipated, not everything was as sanitised or 'perfect' as a Western/European hotels: The water pressure in the shower was a bit weak, the Wifi was not everywhere and the floors were a little cold but we would not consider these to be negatives which would put us off recommending it to others. 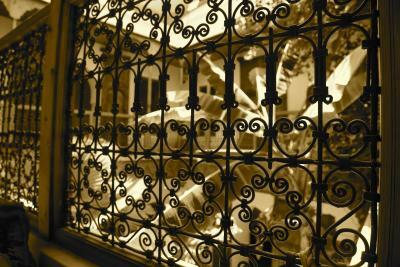 Riad Djebel is an unsafe hotel, located in an unsafe area in Marrakech Medina and is not accessible by taxi. You should take this information very seriously, because me and my company (girlfriend, friends) got robbed 3 times walking between the (by the hotel recommended) taxi place and Riad Djebel. 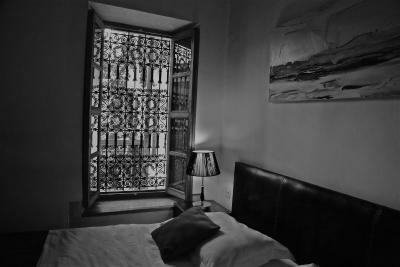 The hotel is located in a dark alley and only has a small entrance door which you have to knock at night to get in. The robbers knew exactly where we lived and followed us all the way to the hotel. The hotel staff didn't help us when we told them about this. My strong recommendation to anyone reading this is to book another Riad/hotel that is accessible by taxi. Room could have been a bit warmer. I didn't love that there was no key/lock for our room. Wifi only worked in courtyard areas. The staff was exceptionally friendly, helpful, and accommodating. 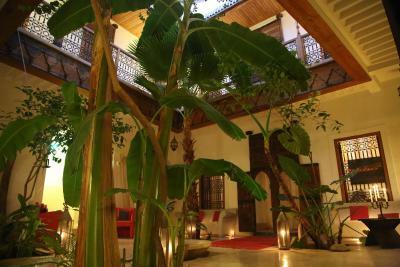 The Riad is a beautiful space. 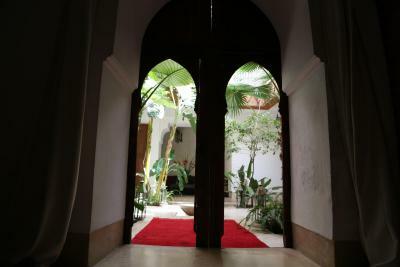 Great Riad, nice helpful staff made us feel home. You can't lock your room door, that was no problem for us, bc there was a safe and we liked the open style. So it was totally okay for us. 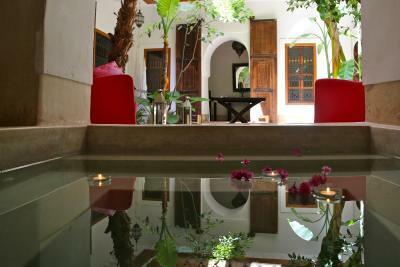 This is that kind of Riad you are dreaming of, when you plan to come to Marrakech. The host and the whole staff was etremely friendly and helpful. They arrange nice trips and do what they can to make your trip unforgettable. Breakfast was nice on the rooftop terrace. The room is good, bathroom is great. 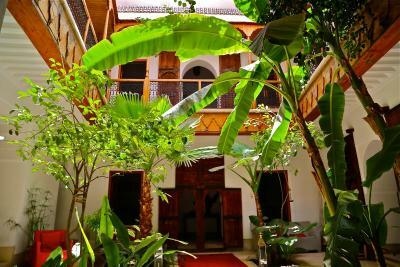 It was clean, the Riad is located in the eastern part of the Medina, so very close to all attractions, but very relaxed and quiet area. We loved this place! 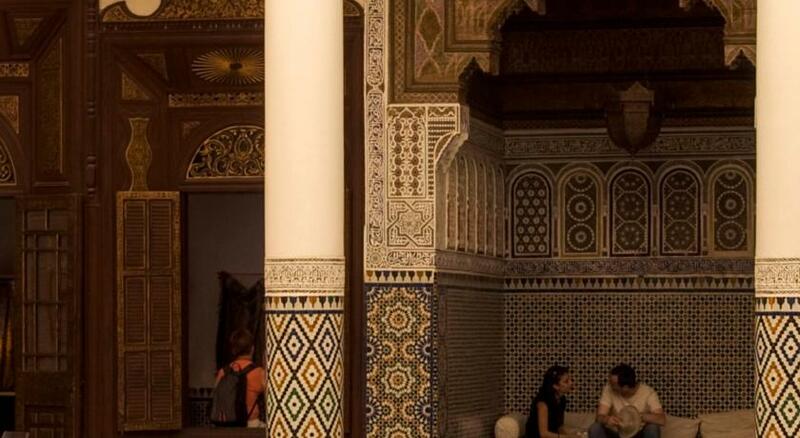 WiFi was not available from everywhere within the Riad… but it's not so relevant. Very Kind, gentle & helpful staff, we felt being home & safe. We have been informed very detailed about Marrakesch by Abdou upon Arrival. It was perfect there! Beautiful riad, lovely rooms, Abdou and all the other staff were so helpful and friendly, giving us a thorough guide of the city and advice of what to see and do, restaurant recommendations and advice on the price of things. 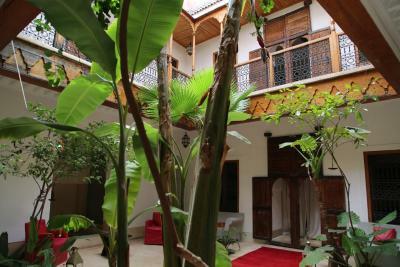 The riad is fairly easy to find, Abdou helped us to figure out the streets and all the local people were friendly. Would definitely stay there again. The room was absolutely gorgeous! The staff was always available and really helpful. 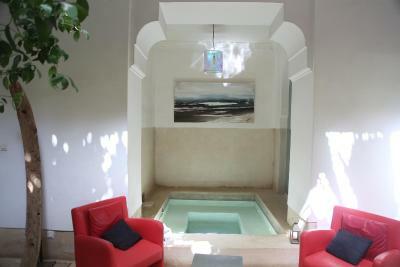 Entire riad has a feeling off luxury! Amazing staff, super helpful. Clean room and great location. Highly recommended. 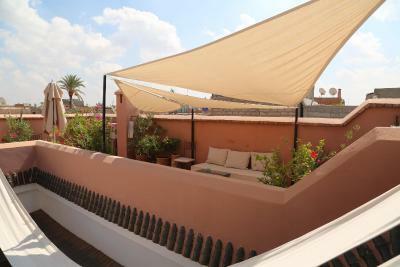 We really enjoyed our stay in Riad Djebel, especially the evenings on the roof terrace and the interesting conversations with our host and also the delicious breakfast in the sun and morrocan tea!